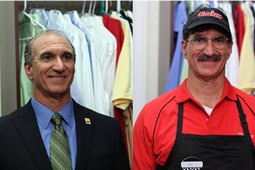 Undercover Boss made a very strong start in its new Friday 8pm slot on CBS. Boss was first in households (6.7/12), viewers (10.73m), adults 25-54 (3.3/09) and adults 18-49 (2.4/08). Boss posted the time period's best regularly scheduled delivery in households since March 13, 2009. Boss was Friday's #1 program in viewers, adults 25-54 and adults 18-49.